Star Wars! 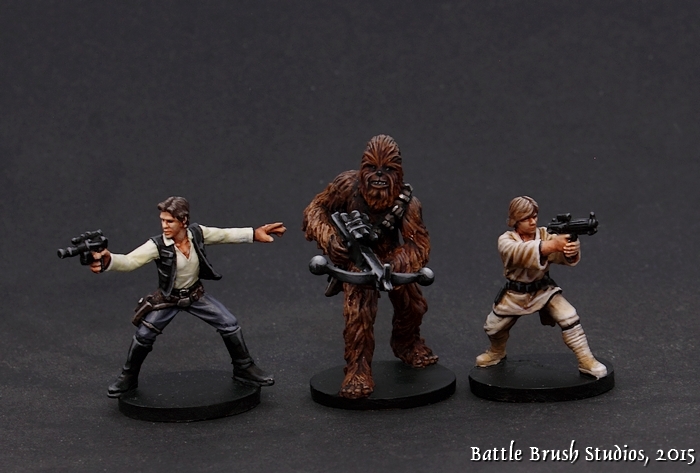 For no particular reason the demand in nice paintjobs on Star Wars minis has gone up quite a bit over the past years. ;-) Today I'm starting with Han Solo, Chewbacca and of course Luke Skywalker. Hope you like them! I posted a batch of figures I painted for a set of Imperial Assault before, and over the next days I will post more!